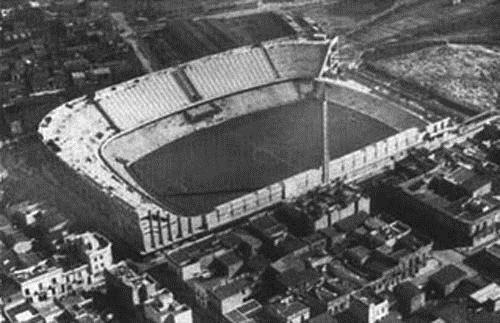 La Bombonera was built between 1938 and 1940, and, as the legend goes, received its name because the architect suddenly realised the similarities between the stadium and a chocolate (bombon) he was eating. 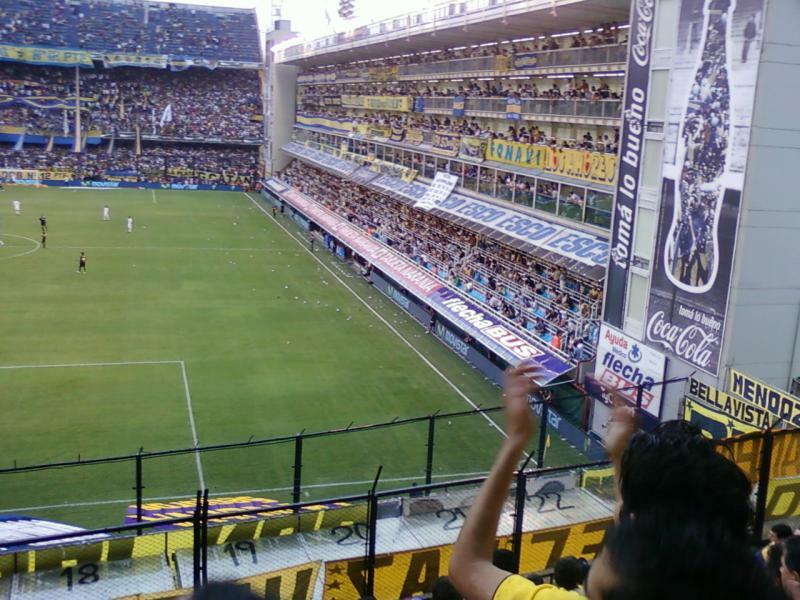 Boca Juniors had already played at the site since 1924, which was until then a rather simple wooden stadium. 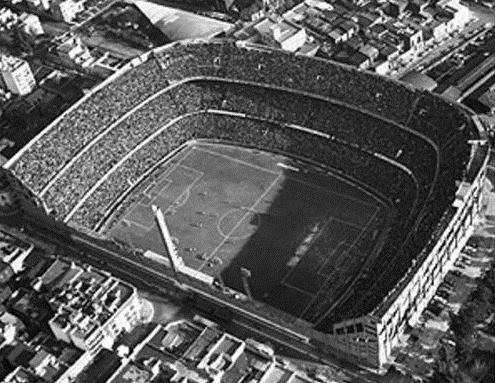 After Boca bought the land in 1931, it therefore started making plans to build a new concrete stadium that could hold 100,000 fans. 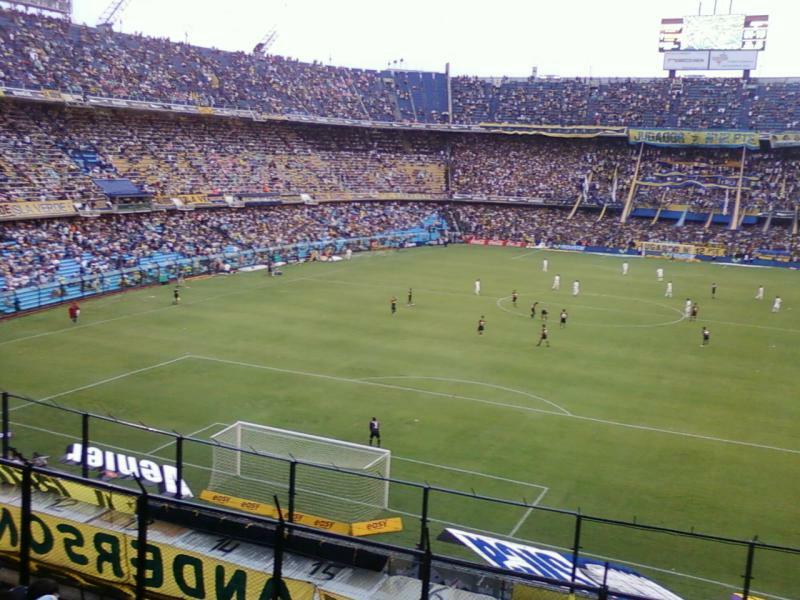 La Bombonera officially opened on the 25th of May 1940 with a friendly between Boca Juniors and San Lorenzo (2-0), though it took until the end of 1941 for the second tier to be completed. A third tier was finally constructed between 1951 and 1953. La Bombonera at that time had stands on three sides. The fourth side was left open with just a few VIP boxes and an obelisk, which was because of a lack of space due to the residential buildings just across the street. 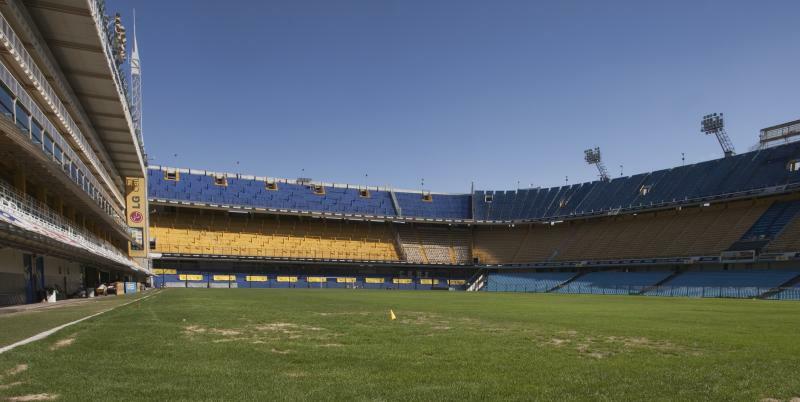 Boca Juniors almost moved to a new 140,000-stadium in the 1970s, but political and economical turmoil ended the construction that had just begun. In 1986, the stadium got named Estadio Alberto J. Armando in honour of the former iconic club president, but most fans have kept referring to the stadium as La Bombonera. In 1996, the VIP boxes and obelisk on the open site were replaced by a small stand that was higher than the previous one, but again mainly consisted of VIP boxes. 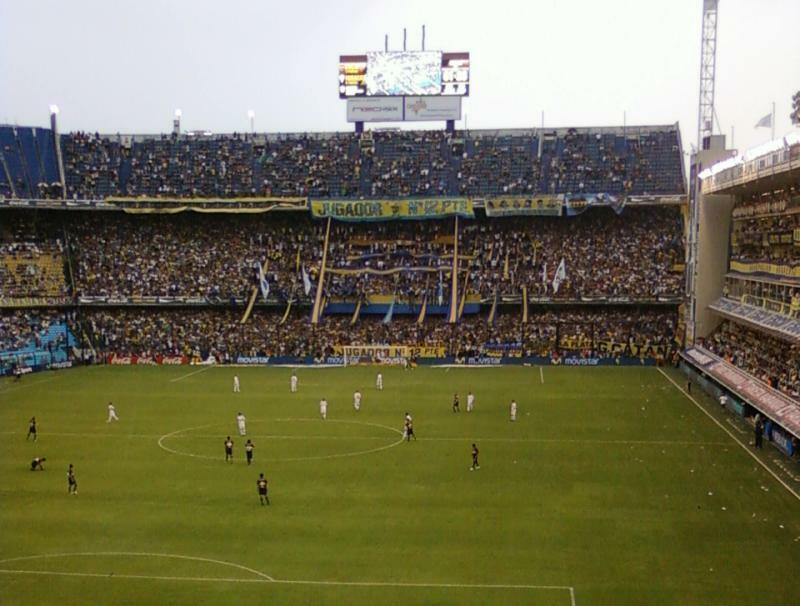 Boca Juniors currently has plans to build a new stadium almost adjacent to La Bombonera, with a capacity of 75,000 seats divided over two tiers. La Bombonera will not get demolished though, but used for other purposes. Plans are still in preliminary stages. La Bombonera is located south of Buenos Aires’ city centre (Microcentro), at less than 4 kilometres from the Plaza de Mayo and 2 kilometres from popular nightlife area San Telmo. La Bombonera is hard to access by car and it is advised to either take a taxi or go by public transport. The stadium has no metro station in the vicinity, though the walk from the San Telmo area should take no more than half an hour. There are also many buses (colectivos) that pass close to the stadium, of which most also cross the city centre (microcentro). Take one of the following colectivos in southern direction: 10, 20, 22, 24, 25, 29, 33, 39, 46, 53, 54, 64, 70, 74, 86, 93, 102, 129, 130, 152, 159, 168, or 186. La Bombonera lies in the middle of the working-class La Boca area, which has a slightly negative reputation in terms of safety, and therefore care should be taken at night. 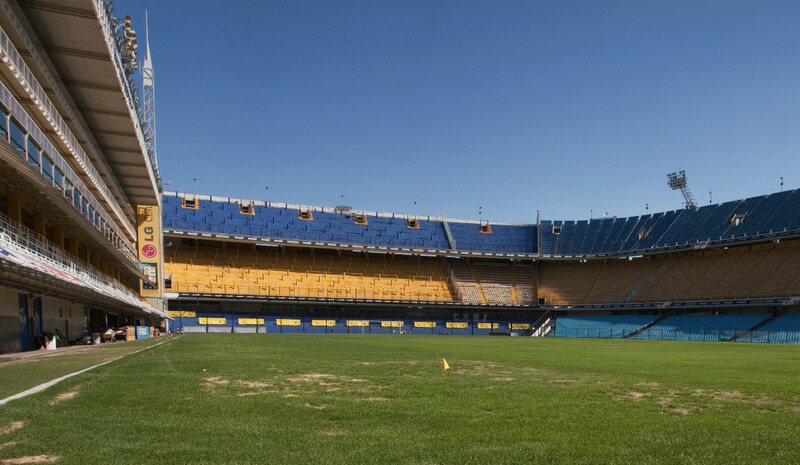 During the day, however, the area around the stadium is reasonably safe as it is located adjacent to the famous and touristy Caminito de la Boca with its coloured artist houses. There are various restaurants and bars around the Caminito de la Boca, but the San Telmo area toward the north may be a better alternative, especially at night. Most of the places are in the area around Plaza Dorrego. From there it is less than 30 minutes walking to the stadium. There are few hotels near La Bombonera, but plenty of options in the San Telmo area. Some of the best-rated, but also more expensive, options include Tiana Hotel Boutique, Telmho Hotel Boutique, Bohemia Hotel, and Hotel Babel. Expect to pay between US$ 60.00 and US$110.00. Cheaper and more basic options include Hotel Carly, Hotel Chipre, and Hotel Casablanca. There are also many hostels in the San Telmo area. For an overview, click here. 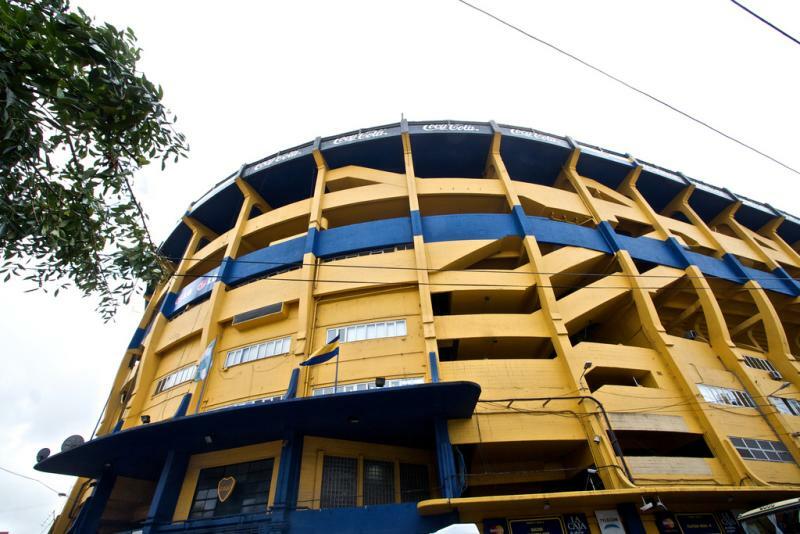 Boca Juniors has stopped selling tickets to the general public and currently only allows club members to enter the stadium. Tourists can make use of the many ticket agencies that offer packages, which however go for highly inflated prices. Bocajuniors.com.ar – Official website of CA Boca Juniors. 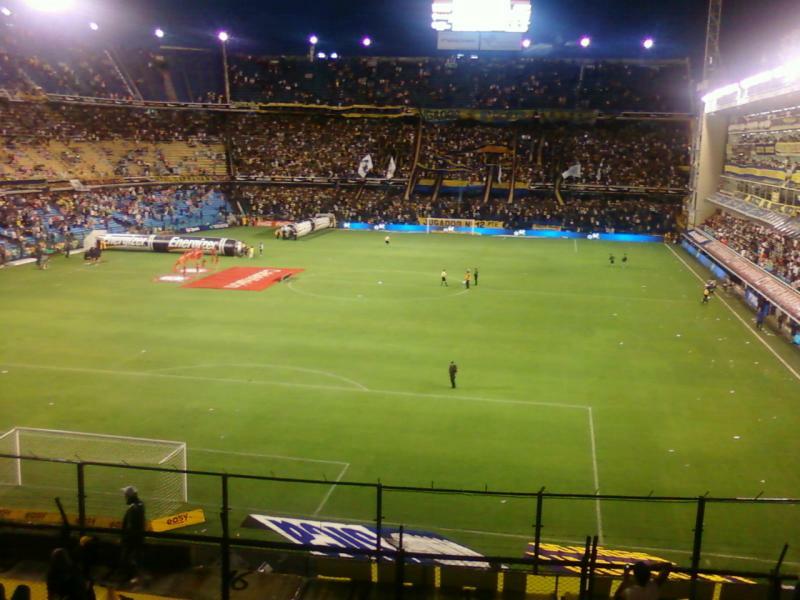 I went to Batistuta’s last game for Boca Junios v San Lorenzo in 1991. In those days you could just walk up and pay to get in. I was stood behind the goal. San Lorenzo fans were on a tier above. A continuous torrent of spit from above endured throughout the game but also thrown down was a car tyre and, no kidding, a shopping trolley! It was quite an experience. Boca lost 1-0. An absolutely amazing staduim to visit. I visited in April to watch Boca v Nuevo Chicago ( 0-0 ). Brilliant atmosphere from start to finish. We bought tickets from an organised tour group, we met at a bar in San Telmo they provide a few beers and some food and then provide a small coach to La Boca with a guide. Loads of different nationalities in the group of about 30. Normally wouldn’t do this kind of trip but it was the only way we could get tickets in the UK. We paid about £100 and sat in Sector L, which is along the touch line between the Boca tunnel and the away team tunnel and is next to the main hooligan/fans area. The guide sat next to us in the staduim and told us that he sits in this sector every game and we felt safe throughout the game. You do need to be slightly careful but don’t let that put you off going to watch a game. The staduim was brilliant. A proper old school staduim, standing behind both goals and seats along the side. The tour company offer different price tickets ranging from about £65 to £100 each.After the game the guide took us back to the coach and then dropped us back off in San Telmo. I got talking to a few locals who said that you can get tickets from members outside the staduim at a lot cheaper prices but again you have to be careful if your going to do this. We went on the tour of the staduim the day before the game. The guide was really good and spoke English, he conducted the tour in Spanish and then came over to our group and explained what he had said. The tour isn’t brillant but it’s definitely worth £8. You get to look around the staduim visit the museum and have a drink in the bar at the end ( we sat on the terrace behind the goal with a nice cold beer ! ). The club shop is expensive, but there are loads of shops selling brilliant copies all around the staduim at cheap prices. They have all the teams in Argentina plus the national team shirts. I would recommend the steak restaurant directly opposite the staduim. It’s nothing special when you walk in but the steak was amazing ! and for only about £5 with a beer ! After the tour we walked down to La Camitino tourist area, it’s only a five minute walk, we didn’t have any problems but be a little careful because apparently they have a lot of crime in this area between the staduim and the start of the Main tourist Street. Buneos Aires is brilliant !